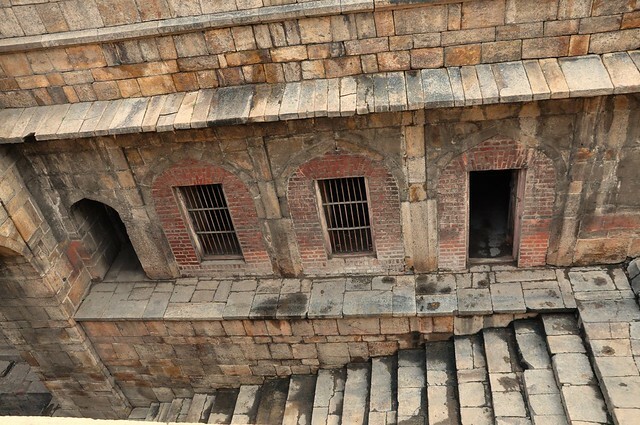 A unique 'baoli' older than the fort itself where two staircases from two sides meet at a central pool, lies locked up and inaccessible even to visitors. Red Fort: A UNESCO World Heritage Site, hides an unusual L shaped 'baoli' in its midst. The Red Fort, located along the western banks of the Yamuna, was built by Mughal emperor Shahjahan when he moved his capital to Delhi from Agra and laid the foundations of Shahjahanabad, the seventh city of Delhi. Since then, the river has changed course but it’s proximity to the fort ensured that there was abundant water supply as well as protection for the city. A world heritage site, it was previously known as ‘Qila-e-Mubarak’ or the Blessed Fort. The fort which is shaped like an octagon has massive red sandstone walls that run to 2.4 km, and is flanked by a moat on the western side that protected it from raiding invaders and external attacks. Moats on 3 sides and the Yamuna at the fourth, provided the much needed defence for the royal family. 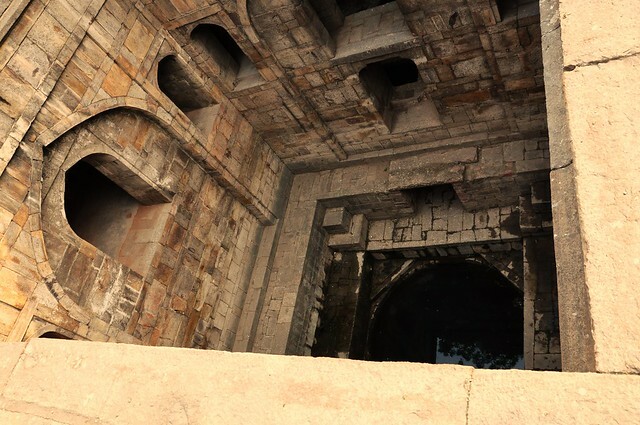 Tucked away inside is a magnificent 'baoli' or stepwell believed to be older than the fort and surprisingly in good condition. Unfortunately it remains locked to the public. This baoli is a unique structure. It has stairs from two sides, unlike the usual single staircases leading down to the bottom water tank. 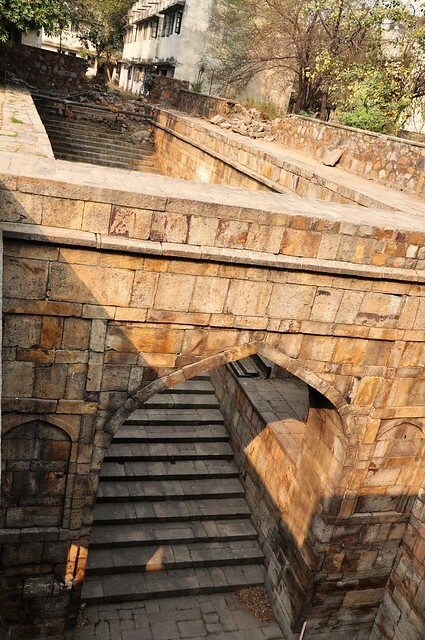 The two sets of stairs at 90 degrees, mirror each other, giving the 'baoli' an 'L' shape. 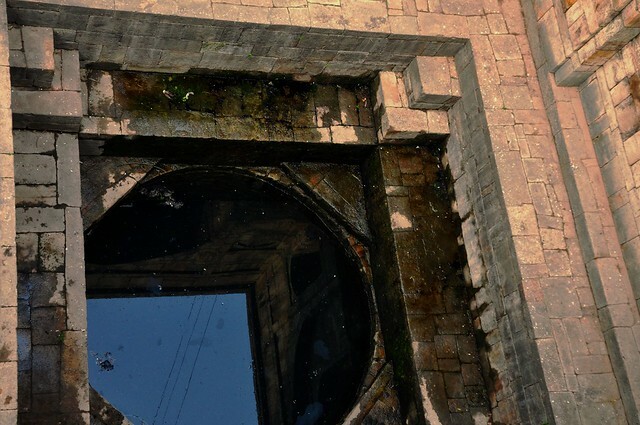 At the deep end where the stairs meet, is an octagonal tank, which is connected to the adjoining covered well, at the southern end. Take a peek at this conveniently 'forgotten' structure inside the magnificent Red Fort. Red Fort 'baoli' is inside the Red Fort area itself, and may be reached by Metro, with the nearest stop being Chandni Chowk (yellow line), at a walking distance of barely 1 km. Delhi is connected by rail, air and road to all parts of the country.